The seeker is a 57 year old woman who wanted the reading to see if she is on the right path of change in her life. She is going through many changes of thought patterns and beliefs within her marriage; her spirituality; and who she is as a woman. The onset of her husband’s midlife crisis caused her to second guess herself and all of her patterns of beliefs by which she defined herself as an individual. While this is not an element balancing reading I saw that she is very imbalanced in her elemental system. I felt that she is comfortable with her emotions and her material possessions. She is focused on her soul path and her philosophies and truths and discovering what she truly believes as she moves into the winter stage of her life. PURIFICATION (Fire) – Her survival as the person she was before her husband’s midlife crisis has been shaken to her core and she questions who she is as an individual. 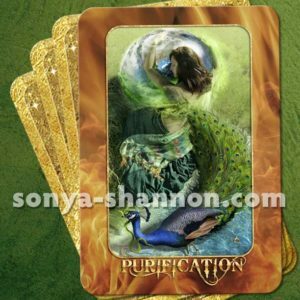 The purification card in a reflection of all of the emotions tied to some of the experiences she’s had with her husband that caused resentment; and anger. She was allowing the negative feelings to consume her and take control in order to feel safe. She recognized this as being detrimental to her survival in a positive way and began to use them to find confidence in herself and her accomplishments that did not involve her husband. This has created new possibilities for her to create relationships with new people and with her marriage she hadn’t entertained before that will be a benefit to her. She is enjoying herself more and building a belief in her own intuitions that she and previously ignored. PERSPECTIVE (Fire) – : In the midst of her struggles within her marriage she has found a new awakening of her sexual energies and her thought patterns in relation to her sensuality as a woman. She has found a new creativity within herself that she had always been afraid to let out. She is no longer afraid of her passions and she has explored this area to discover that it is ok to want and desire her husband and the emotions that her passion and sensuality causes within her. She and her husband have created a new spark in their relationship that had not been there before Her changing perspectives have also led her to make changes in her appearances that give her confidence as a woman. FORGIVENESS (Earth) – She has had to learn to forgive her family and her religious mentors for some of the pain and confusion they have caused her. Because she was raised with a strict religious family she felt that it caused her personal power to be snuffed out and held her back from personal growth as a person. By letting go of the bitterness toward these individuals she can heal and step into her personal power. She also has to let go of the unforgiveness she’s had for her younger self for believing what was told to her by her family and mentors. This will open doors to her in all areas of her life; personal relationships will be deeper, her career can be at its most productive and she will be living as her authentic self free from the need to please others. 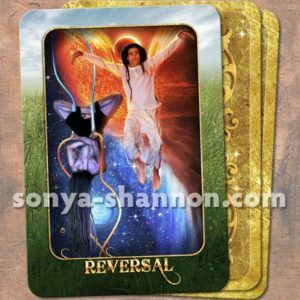 REVERSAL (Air) – The sudden change of the dynamic of she and her husband relationship as well as leaving a church which they had served in leadership had caused her to rethink her beliefs in the spirit realm and religion and doubt her love for herself and others. Her devotion to Spirit (God) was also called into question as she began to wrestle with spiritual truths that suddenly seemed twisted or outright lies. She began to question all of her beliefs and her heart and felt deceived. However, through the season of change she has discovered that a change in some of her belief patterns opened new possibilities to her relationship with Spirit and with others who are not in the church religious world. She has found a new compassion for others and is still on her journey to enlightenment which led her to have this reading done. She is finding a renewed love and acceptance of herself. WISDOM (Air) – This stage in her experience has allowed her to be more self-expressive and open with others. She is learning to speak her truth and not fear that she will be judged for it. She has become assertive in speaking her wisdom be it at work or home. She has much knowledge in her career and had been unable or afraid to speak up because she second guessed her wisdom. However, within the realm of her life experience in the last year she has learned to be comfortable in the wisdom she has and is willing to learn and change with new thoughts and teachings. Which will continue to bring her freedom in her life. STRATEGY (Air) – She was previously unaccustomed to understanding or moving in her insights. She had been taught that only certain types of individuals had the ability to have insights or clarity in spiritual matters. She would often ignore her intuitions of what she felt Spirit telling her or the intuitions that showed her another individuals thought of harm toward her. 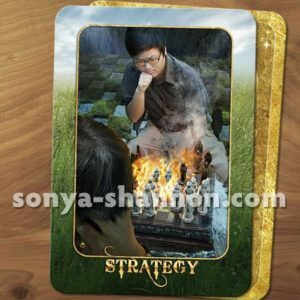 The strategy card brings to light ideas and ways for her to build her intuitive eye and share with clarity to others. She has left a company that she felt was not ethical and chose another company that she felt would be a better fit even though her husband did not support her move. 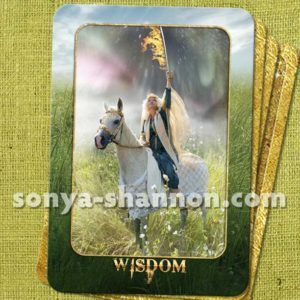 She listened to her intuition and the move has been positive and has strengthened her confidence in her ability to see. PRAYER (Water) – She has lived her life on the words of others and walked a path they told her she should walk. This journey affected her walk with Spirit in a way the profoundly affected how she related to The Divine higher ways. She turned her back on traditional religious beliefs but still found need for connection with the Spirit so began to explore her spirit self and made a decision to seek a different relationship with Spirit and become liberated from her other oppressive beliefs which led her to a deeper awareness of her higher self and through communing with Spirit. This card represents her new found relationship with Spirit and being grateful for her life and the awakening to who she truly is as a part of creation. 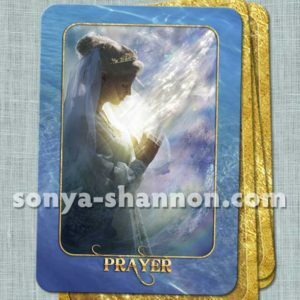 The seeker was excited to have a reading and the experience in another area in her spiritual walk that had previously condemned the reading of oracle or tarot cards. She agreed with the interpretations and shared some of the struggles she has been going through while seeking her higher self and purpose. She was amazed at the accuracy of her thought patterns and belief challenges and felt more at peace with her decisions to move in this direction with her life decisions and changes. 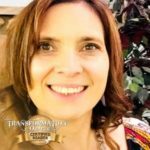 Get a reading with Jeanette! Learn how Spirit is the Fifth Element in Jeanette’s paper, How the Elements Relate to Spirit.